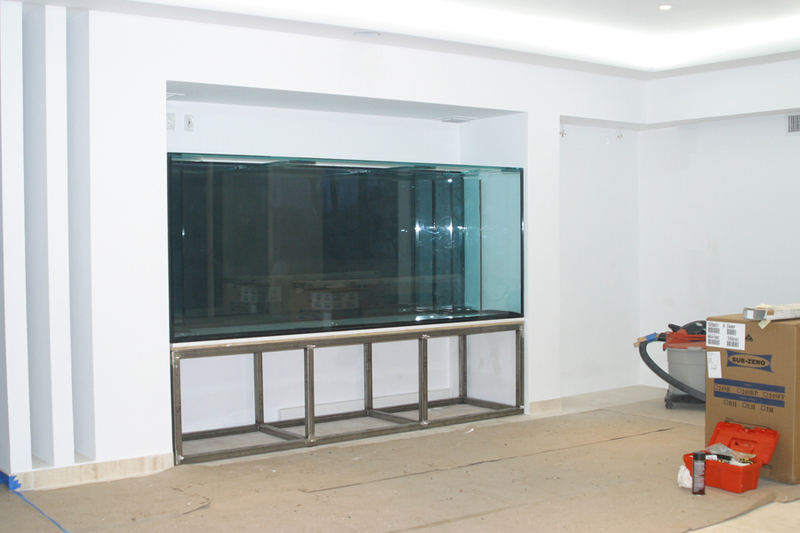 840 Gallon Living Coral Reef - REEF AQUARIA DESIGNREEF AQUARIA DESIGN | Every great room deserves a great aquarium. A well renowned architect and artist discovered a stunning Art Deco era waterfront home and settled in for a complete restoration/renovation. 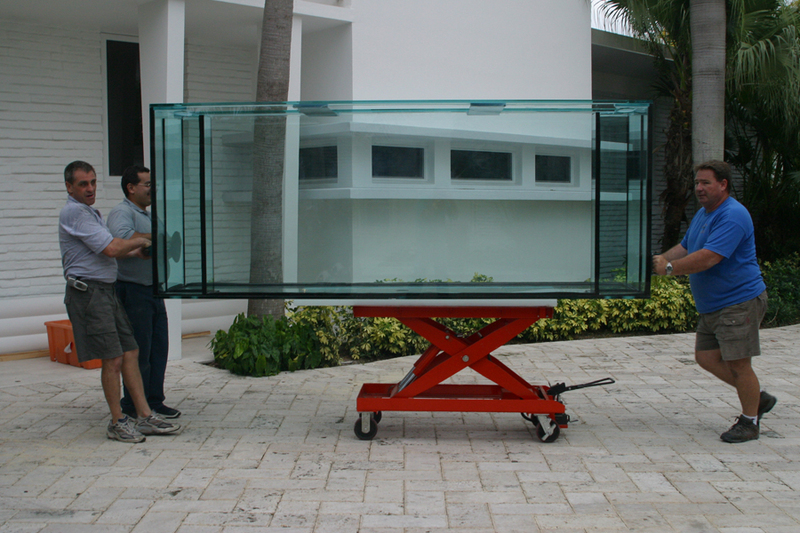 The homes simple and modern lines act as the perfect blank canvas for an eclectic collection of colorful contemporary art. 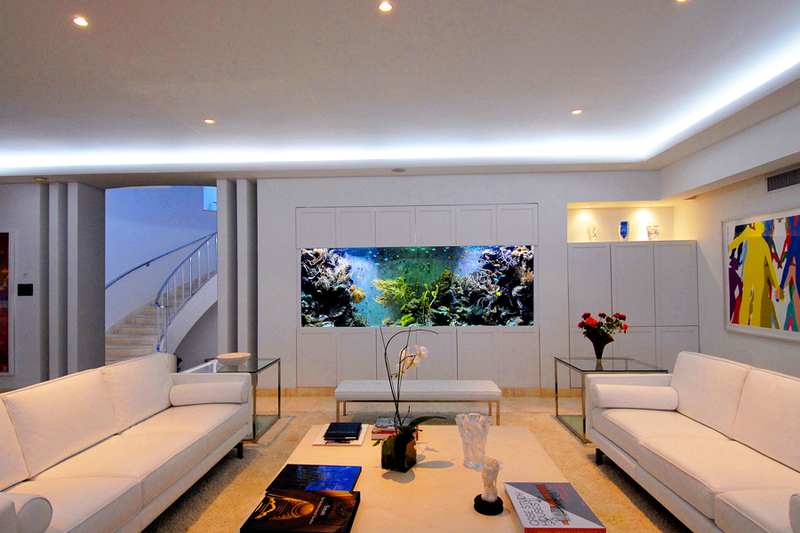 Most dynamic of all the artwork in the home is the 840 gallon coral reef aquarium that brings movement and life to the home. 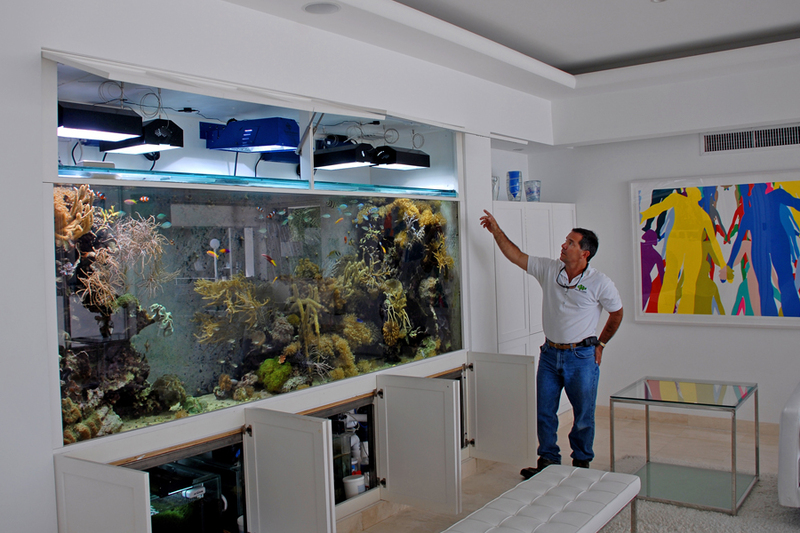 This home and aquarium were duplicated in Orange Beach, Alabama by thoroughly impressed visitor to the home who had to have his own, complete with aquarium and all.